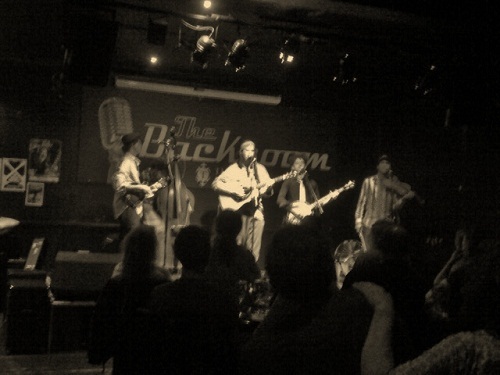 that was a rather wonderful way to round off our run of March shows at The Greystones. Fabulous gig from The Deadly Gentlemen last night, not forgetting The Payroll Union and Dave Sleney who got the night off to a great start. Thanks to everybody that came out. We still have more to come this week though. On Friday night (March 30th) it’s the first of our new run of shows at Shakespeares where we’ll be hosting a night on the last Friday of each month. We kick off with In Fear Of Olive (launching new EP Saluting Magpies), The Clench and Roaming Son. All the details can be found here. The evening will also mark our 150th show. Our next show at The Greystones is on April 21st when we’re joined by Amanda Shires, Garron Frith and Mat Wale. See here for details of how you could win a pair of tickets for this show and a copy of Amanda’s latest CD.